Late Shri Dadasaheb Phalke – the pioneer of the Indian Film industry hailed from Nashik District. Born in Trimbakeshwar – about 30 kms away from Nashik, he worked and spent his life in Nashik. 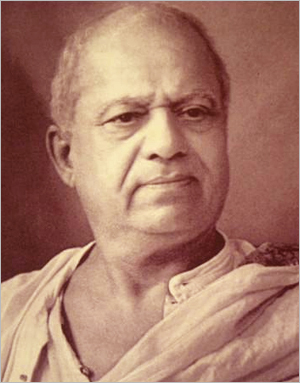 Dadasaheb’s name is Dhundiraj Govind Phalke. Born on 30th April 1870 in Trimbakeshwar he devoted his life for making silent movies. He had a multifaceted personality. He was the student of Sir J. J. School of Art, Bombay and Kalabhavan of Baroda. After passing out from the art school, while in Bombay, he happened to see a movie on the life of Jesus Christ made by a foreigner. It was projected on 7th July 1896 in Watson Hotel by Mr Meris Sestiye – the representative of the pioneer of Cinema Industry – Lumie Brothers. That inspired him to make an experiment of a movie in India. The film making techniques were alien to Indians then. Starting with the famous movie on mythological character “Raja Harishchandra” in 1913, he made 95 movies and 26 short films in the span of 19 years, till 1932. He earned a lot of money, but ploughed it back in the industry. When he stepped in to this venture, no one had anticipated this industry to flourish so much that thousands of people would be able to earn their livelihood from it, nor did anyone foresee the amount of huge money transactions in it. On the contrary, people were skeptical about the general appreciation of movements of artificial pictures on screen, by the society, in place of live dramas. Because of this moneyed people were hesitant to come forward for investment in this industry. Manpower was not available for carrying out work. The educated and intellectuals preferred to keep themselves at a distance from this industry. This industry was considered of lower grade than drama.Dadasaheb made his first movie in Bombay. Although the necessary facilities for making movies were available in Mumbai, there were many other problems. After deep thinking and observation, he found Nashik suitable and he decided to shift to Nashik. Nashik was a small city then and had a lot of open space. He got a nice place in the southern part of Nashik, where he decided to make his studio. There was a nice Shrikrishna temple in the plot, which belonged to Mr Bhave. Mr Bhave had maintained the plot and the temple very well. There was a beautiful garden around the temple and a big fountain too. In Untwadi on Trimbakeshwar Road, there was a big well, which used to have plenty of fresh water. A canal from that well to the Shrikrishna temple was built out of stone and used to supply water to the fountain in front of the temple. This canal existed since long, no one knows who built it and when. But it was a very nicely built sturdy canal. A horse rider could easily pass through the canal. The fountain used to soar very high in the sky and the falling water was collected and diverted to another big tank.In course of time, Mr Bhave had to vacate that plot. He took away the idol of Shrikrishna with him. The plot was now owned by Mr Viadya who rented it to Dadasaheb Phalke. The tall fountain and the big tank were so famous then that the place used to be identified by the name “Houdacha Bangala” meaning the house with tank. Dadasaheb started developing that place. The head office, chemical laboratory were set up there. The shooting in those days, even of the interior of houses or mansions, used to be in open air. Animals like peacock, rabbits, monkeys, deer required for shooting in the movies were kept in the yard. Comfortable arrangements for the pets were provided and the surroundings looked very beautiful studio. 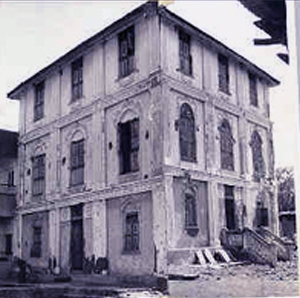 In 1913 for the first time, shooting of the movie “Bhasmasur Mohini” was done in this studio. In those days no women worked in drama or film industry, so gents used to play roles of women. But in Bhasmasur Mohini, for the first time Durga Gokhale – and Kamala Gokhale played roles in this movie. Durga Gokhale is grandmother of the famous Marathi actor Chandrakant Gokhale and Kamala Gokhale is his mother. 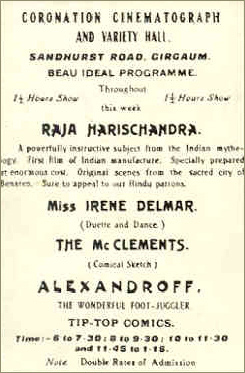 Dadasaheb’s first silent movie “Raja Harishchandra” had its official premier show in Coronation Theater in Bombay on 3rd May 1913 for the common people. Prior to this, Harishchandra Sakharam Bhatawadekar alias Savedada had made short movies and laid down foundation of film industry in India. 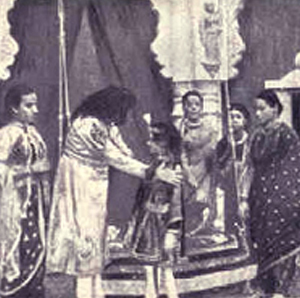 R. G. alias Dadasaheb Torne had shot “Pundalik” drama and showed it in Coronation Theater of Bombay. People were astonished to witness it. However, since dadasaheb Phalke devoted his life for Indian Films he is considered the pioneer of Indian FilmIndustry. In 1932, movies got voice. The age of silent movies receded back. Dadasaheb’s last silent movie “Setubandhan” was released in 1932 and the same movie was again released by dubbing voice. Records, as to who did dubbing for this movie, is not available. Dubbing voice was also a pioneer experiment then. Later on he made the only talkie “Gangavataran” which was not successful. That was the time when he retired from film industry. Talkies won over the silent movies and this affected the silent movies business adversely. Dadasaheb’s company was closed in 1932. The company was owned by Mr Shridhar Apte of Bombay. Although the company was closed, the ownership of the “Houdacha Bangala” was still with Mr Apte. The machinery was properly preserved in the bungalow and Mr Bhat used to take care of it. Around 1935, Godavari Cinetone Limited was founded. This was the first limited company in the cinema industry. Godavari Cinetone Ltd, using the machinery of Dadasaheb, made a movie named “Sati Sulochana”, under the direction of Mama Shinde. Mr Shinde was the favorite student of Dadasaheb. The famous writer and poet Mr V.V. Shirwadkar of Nashik had played a role of Laxman in this movie and also wrote the dialogues. This movie was released on a Dashahara Day in Circle Theatre of Nashik but could not make a success. This movie proved to be the last one made by using Dadasaheb’s machinery. It was in 1938, just after four years of release of the movie “Setubandhan”, Silver jubilee of Indian Film Industry was celebrated under the leadership of Sardar Chandulal Shah and under the presidentship of Mr Satyamoorthy. Dadasaheb Phalke was invited for the function however was not honoured the way he deserved. He was not even noticed in the crowd of common men. Shantarambapu Vanakudre noticed this and he respectfully took him to the stage. On the last day of the celebrations, Shantarambapu urged producers, directors, distributors and artists in the film industry gathered there, to donate funds for construction of a house for Dadasaheb. However, meager amounts were received. Shantarambapu collected the funds, added handsome donation from his own Prabhat Films and sent it to Dadasaheb. With the help of Mamasaheb Shukla, Dadasaheb could get a small bungalow constructed in the Gole Colony of Nashik. He could enjoy his own house for a short period and passed away in 1944. Government has been making announcements now and then that a monument in Dadasaheb’s memory will be built in Nashik. However this has so far not translated into action. Neither is the “Houdacha Bangala” preserved, nor is his residence. Dadasaheb made considerable efforts in film industry, produced a number of wonderful films, which even today are appreciated by people. He was, however, not a practical man and could never do financially successful business. He was caught into a vicious circle of poor financial condition. His health also did not cooperate in the later stage of his life. The famous “Houdacha Bangala” is razed to ground now. The nameplate “Dadasaheb Phalke Path” is existing however, looking in deep silence to the remains of the magnificent, glorious past of the famous studio of the Pioneer of the Indian Film Industry. Born in 1891. Elder brother Ganpatrao, younger brother Shankarrao. Two sisters. started life at Indore. Went to Aurangabad to his uncle Barve in 1903 for further study. His brother Ganpatrao at Barsi. Anant stayed with this brither for some time. In 1908 he returned to Aurangabad & stayed in a hired room in one Gangaram Rupchand Shroff’s house. Gangaram had a friend at Yevla named Tonpe. He was a member of the secret of Nashik. One Ganu Vaidya of Nashik used to visit Yevla to meet his relative. Ganu became acquainted with Gangaram at Yevla. He went with Gangaram to aurangabad to purchase cheap weapons for the Nashik Secret Socitey. Anant became acquainted with this Vaidya at Aurangabad.